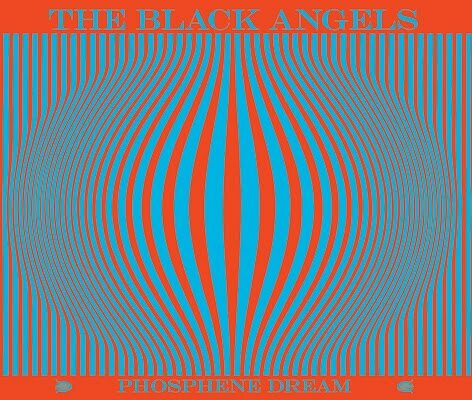 Atlas and the Anchor: The Black Angels - "Phosphene Dream"
The Black Angels descend today to release their third album, Phosphene Dream, and first for Blue Horizon Records, the legendary label relaunched by Richard Gottehrer and Seymour Stein. With major label backing and a stellar producer in Dave Sardy (Black Mountain, Wolfmother), the psychedelic Austin-based band is due to break out, with their collaboration with UNKLE having already been featured in the most recent Twilight film. Album opener “Bad Vibrations” locks into a groove with droning organ, distorted guitars and pounding percussion all swirling around hypnotic harmonies before launching into a fuzzy freakout to end the song for a perfect introduction to their massive sound right from the start. “Haunting At 1300 McKinley” is a hip-shaking, monster mashing ghost story perfect for a Halloween dance party. “Yellow Elevator # 2” was co-written by Colin Ryan of … and is noisy but poppy with colliding layers of 60’s inspired vocal harmonies that flow like the liquid in a Lava Lamp. “River of Blood” crashes in with a wall of reverb and distortion before settling into a delirious organ-led romp. Lyrically and musically, the stomping “Entrance Song” invokes images of speeding down the highway with reckless abandon. The title track, “Phosphene Dream” is trippy with wild howls and oscillating reverb. “Telephone”, the first single, is a swaggering, bluesy garage rocker with a catchy call and response chorus. The album closes with “The Sniper”, featuring loose, sliding guitars and clattering noise like the soundtrack to a raucous bar-room brawl. 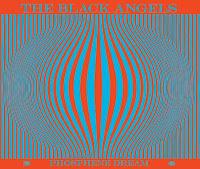 The band has always known their way around a good pop hook and even more so with Phosphene Dream, but the darker tones of their past albums have been evened out with more accessible, brighter melodies invoked by the sunshine and psychedelia of the 60’s for their best album yet.